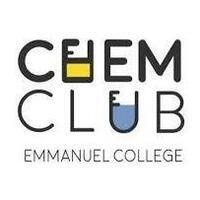 Come join the Chemistry Club as we watch and discuss chemistry videos, cool things happening in the field, and perform demonstrations! The chemistry course is one of the shortest among school subjects: in the standard curriculum, it is given only one hour per week. Nevertheless, for future doctors, veterinarians, chemists and food technologists this is the main entrance exam. Classes in circles allow you to develop research skills, consolidate the theory in practice and prepare design work for speaking at conferences and competitions. I will definitely attend this event.